Same Day Fence provides fences and gates that will increase the value, appearance, and security of your property, whether it is a home or business. Our goal is to provide quality work while at the same time ensuring the affordability of our rates. We work hard to provide each and every one of our customers with top-of-the-line fencing units and to uphold our reputation for excellence and integrity. 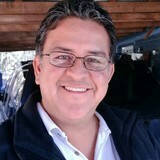 Longoria's Five Star Fencing, Inc. serves the entire Metro Atlanta area with quality service and honest work. We pride ourselves on providing excellent client education and superior craftsmanship. Our expertise in fence building, repair & maintenance has allowed us to become an industry leader. 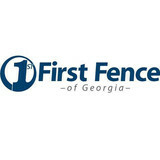 First Fence of Georgia is a full-service metro Atlanta fence company. From our Cobb County headquarters, we provide residential fence installation throughout North Georgia and metro Atlanta, as well as commercial fence installation and project management in Atlanta and throughout the Southeastern US. We also offer materials and any help you need for DIYers. We do require a 100 ft. minimum for projects. We do NOT do gate or minor fence repairs. Thank you! 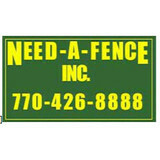 NEED-A-FENCE, INC. SPECIALIZES IN INSTALLING AND REPAIRING COMMERCIAL, INDUSTRIAL AND RESIDENTIAL FENCES THROUGHOUT METRO ATLANTA AND NORTH GA! With experience in all facets of the industry, Peachtree Fence & Gates surpasses industry standards in knowledge, craftsmanship, and customer service. Our professionals offer the insight to provide stress-free project management for residential, commercial, and industrial applications. We work to stay within budget, without sacrificing the quality of materials we use. We carefully select products from the best manufacturers, without exception. Peachtree Fence & Gates offers aluminum, steel, chain link, wood, & vinyl fencing, custom fabricated estate gates, gate repairs, operator installation, service, maintenance & troubleshooting. For a turnkey project that exceeds all expectations, choose Peachtree Fence & Gates. We take pride in our growth and success over the past 50+ years helping our Georgia neighbors with their decking and fence projects. As a family-owned fence company, we have become one of the largest companies of our kind in Georgia. We are one of the leaders in the industry, providing quality installations, competitive pricing and excellent customer service. Our contractors are happy to also offer our customers driveway and deck services. The Chamblee contractors will guide you through your project to find the best solution for your home or business. 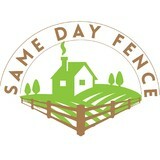 Mauldin & Cook Fence Company is locally owned and operated in Marietta, GA. Since 1987, we have provided professional and affordable fence installation and fence repairs to homes and businesses in Marietta, Woodstock, Acworth and all over the northern Atlanta area. Our professional staff of fencing experts have a great knowledge base and will be glad to work with you to discuss any fence project you may have. Mauldin Cook offers a large assortment of fencing styles and we carry a complete line of fencing materials. Natural Enclosures Fence Company, LLC., is an established Georgia fence company serving all of Metro Atlanta. We are not only committed to providing quality custom fence installations, but also delivering a level of customer service that is unique to the Atlanta fence industry. 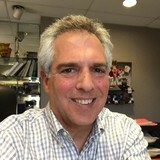 We rely on our customers referrals as our marketing department so we know that every customer, and every project, is as important as every other one. We purchase materials direct from the manufacturer and product some materials in-house to ensure top-quality and fair pricing for our customers. Southern Vinyl and Fence, Inc.
Southern Vinyl and Fence, Inc. has been serving the metro Atlanta area and most of Georgia for over 10 years. We pride ourselves in providing quality products and excellent service including quality installation. In addition, our customer service is second to none. Customer referrals are a part of our advertising. We go the extra mile to make certain that the customer comes first and is pleased when we complete the job. At Georgia Custom Enclosures, we value quality workmanship and integrity. We are a locally-owned fencing company, and we are committed to delivering the highest level of service to our customers, and providing quality custom fence installations, repairs, and maintenance. Apex Fence Company. The top Atlanta Fence Company serving the Atlanta area with the best quality commercial fencing and residential fencing available in Georgia. At Apex Fence Company we specialize in fence design and installation featuring the most beautiful privacy fencing, picket fence, decorative metal fencing and PVC fencing, all custom built for you. Installed right the First Time After selecting the correct material, style and finish our fencing installers will install your fence to meet manufactures requirements and your local town building codes. Our fencing installers are the most reliable in the industry and use only the best materials and techniques to install your fence. Your North Druid Hills, GA fence installation and repair professional will work with you to create your ideal fence. Fence installation or replacement. If you are in the market for a brand new fence, a contractor’s services will include walking you through various fence styles and materials, determining a suitable height, ensuring that all fence designs and plans are compliant with Georgia building codes, and that the fencing meets both your stylistic and security needs as the homeowner. Fences and gates must complement the grade of your property as well as the type of soil you have, so the contractor should always plan around these considerations. Additionally, if you don’t know exactly where your property lines are, he or she can commission a survey for you. Find a fence contractor in North Druid Hills, GA on Houzz. Narrow your search in the Professionals section of the website to North Druid Hills, GA fence contractors. You can also look through North Druid Hills, GA photos to find examples of fencing and gates that you like, then contact the professional who worked on them.